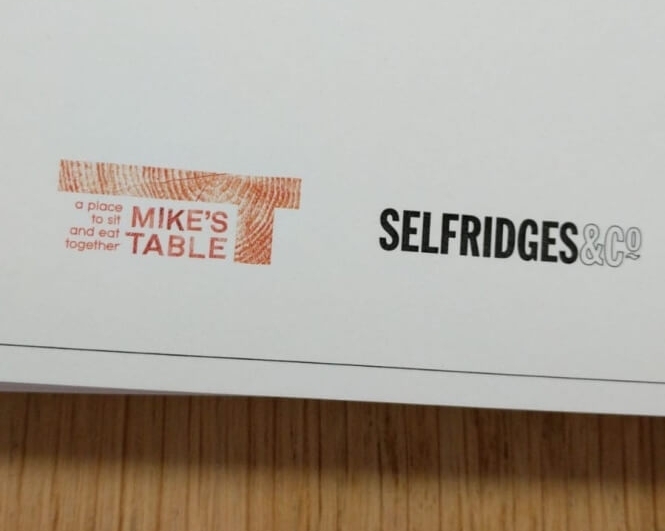 ‘Saved by Selfridges!’ was a collaboration between Selfridges (Oxford Street) and Mike’s Table held at Leiths School of Food & Wine. 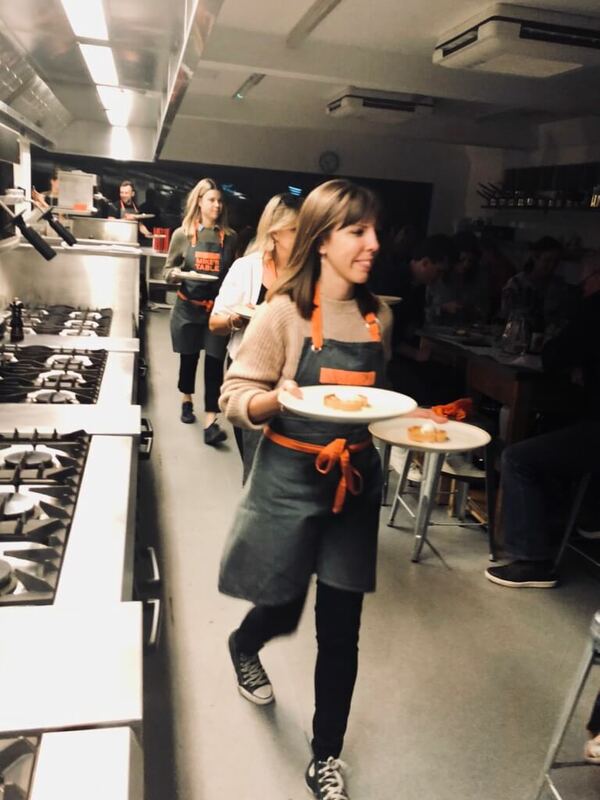 We are delighted that Leiths donate all their surplus food to one of our partners City Harvest, and Selfridges are committed to reducing food waste and promoting sustainability through out their stores. You can read more here. 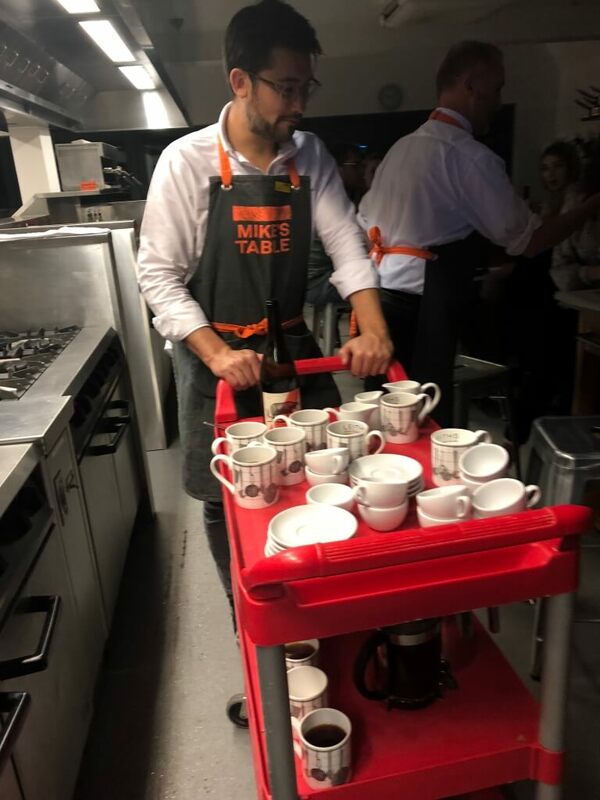 With a full house attending, the kitchen did a fantastic job in creating another superb menu! Guests were greeted with a selection of antipasti on arrival, along with either a mocktail or champagne cocktail made with homemade cordial of saved strawberries and apple and mint. Throughout the evening, guests were completely spoilt by endless courses. A particular highlight of the evening was the raffle, in which Selfridges and Leiths had donated prizes. 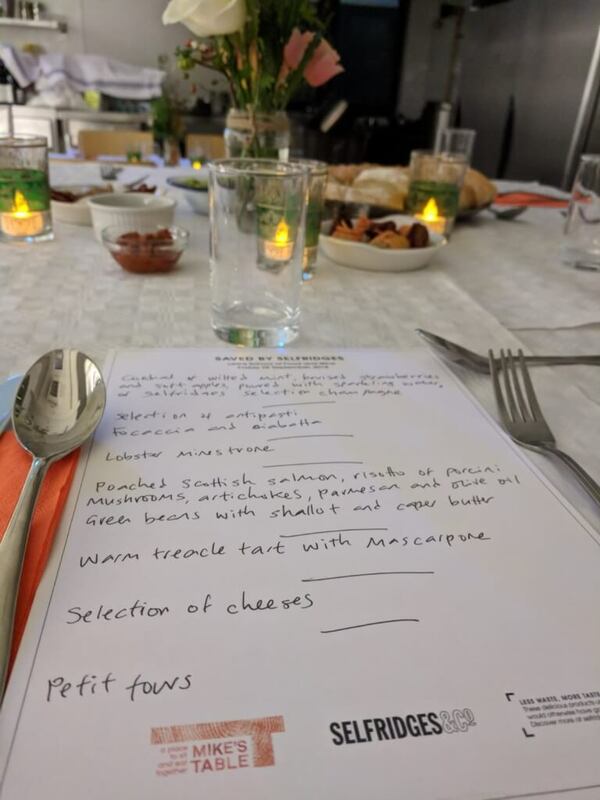 The lucky winners were treated a meal for two at a Selfridges restaurant which was won by a representative from the West London Centre, who support refugees. 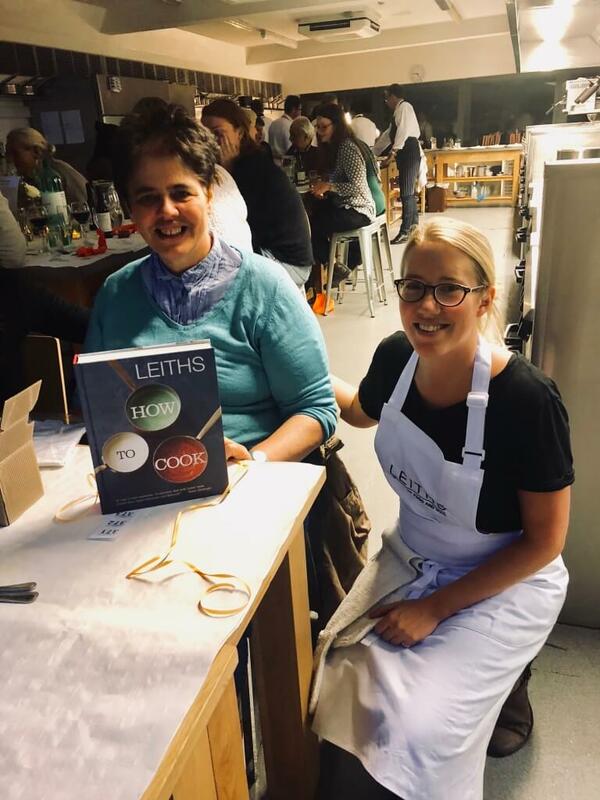 A Second prize went to Mary from the Yarrow table and she was clearly delighted with her Leiths cookbook, mug and aprons. 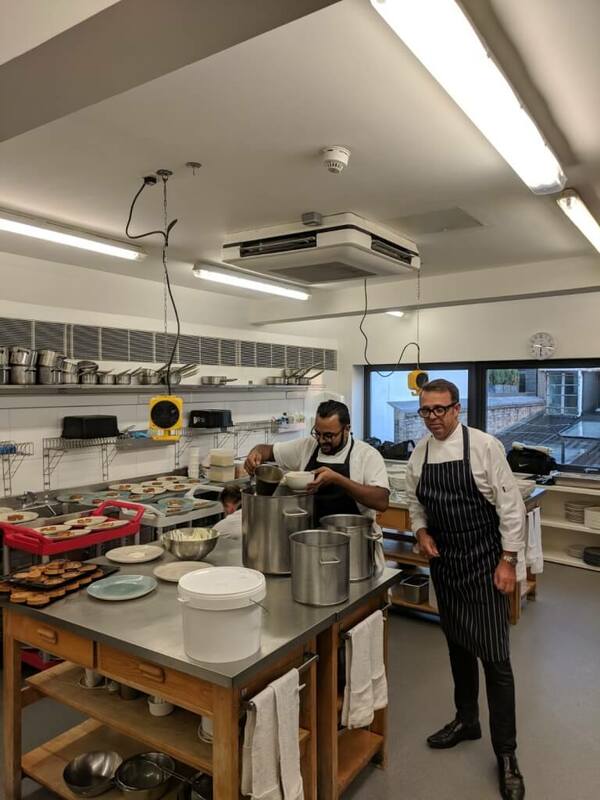 A massive thanks to Leiths Cookery School for making us so welcome into their amazing space. Another huge thanks to Selfridges for their fantastic kitchen team and volunteers. 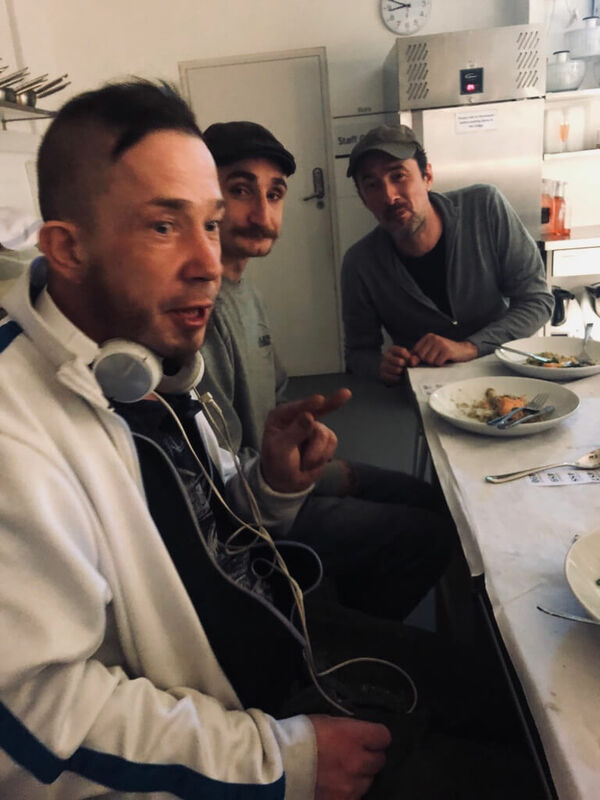 Carers Network, Single Homeless Project (SHP), Host Nation, Bubble & Squeak Eat, United in Hammersmith & Fulham, Funpact, Yarrow, Hammersmith & Fulham Food Bank, Refugee Council - West London Day Centre.